I have seen customers before with a good manners and great behavior But you are on top of all of them in dealing with business. I thank you for doing the deposit wishing that our business relation will exceed the highest level. The GF-14 Garage Fan installation was easy and I look forward to installing more for you in this area. We had our Garage exhaust fan and bug-proof door vents installed. Using your advice we used a timer rather than a thermostat to control its operation. In addition to keeping the garage to a temperature at 78- to 80 degrees F rather than the 90- to 95 degree F without the fan, our office above the garage now is remarkably cooler. Prior to the garage fan I installed a ceiling fan to help with the warmer room temperature in the office; it helped but even with bumping up the air conditioning the office remained the warmest room in the house. Now with the garage exhaust fan, the office temperature now has equilibrated to that of the rest of the house. Moreover, our attic area, at temperatures in excess of 100 degrees F in Atlanta’s long summers kept our bonus room’s air conditioning unit running most of the daylight hours. At a home show we saw and contracted for a thermal-reflective insulated covering inside the attic that reduced the attic temperature to the upper 90’s. Although we had static “turtle” vents along the length of the roof, the heat seemed to simply hang in the attic area on either side of the bonus room. Following our conversation about the solar-powered exhaust fans, we opted for two of the units, one on each side of the bonus room. Since the installation of the solar fans the greatest temperature, and I’ve been monitoring to determine the fans’ efficacy, is 78 degrees F. What I found fascinating was rather than function from a thermostat the solar fans increase and decrease velocity with the intensity of the Sun’s rays. My wife initially complained that the fans weren’t working because she couldn’t hear them from the bonus room, I had to check them myself. Both were running at a rapid speed without a sound, and while in the attic a temperature check revealed the attic temperature at 78 degrees F. Because it is late in the season, we are encouraged for the coming year already experiencing a 10 degree reduction in the garage and an even greater temperature loss in our attic area. Our installer commented throughout the installation process on the ease of installation, quality of the fans and components, and wants to include similar equipment on a rehab project he has planned. I installed my garage fan (GF-14) last year. I wanted to cool my garage, but did not want to compromise my roof system by installing a roof fan. Living in Miami, Florida the integrity of my roof is very important, Hurricane Andrew taught me that! After installing my garage fan, we immediately felt the difference in the garage, but we were really surprised at how much heat this little fan removed from the rest of the attic plenum. We decided to set the thermostat on the lowest setting so that the fan would be working from May-June until November-December, still our electric bill dropped by almost $25 per month during those months. 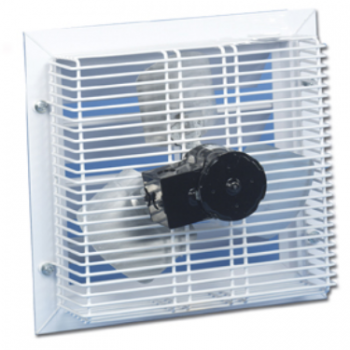 We are very happy with our fan and it is really easy to install. If you have an issue, there is always a real person to take your call and help you. Wow, a real person, in the United States of America! The thermostat switch does seem to have a “personality.” However, they are aware of it and offered to send me a new on if it persists. 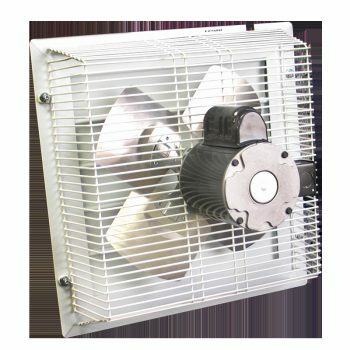 I recommend this fan to anybody that has a couple of hours to spare for installation, wants to cool the garage and save some money on their electric bill. 6/2011 Sergio Cartas Miami Fl. The garage is usually the largest non-insulated area of the home and this makes the it a prime candidate for insulation. Taking this step can save you big bucks on your utility bill. The garage is often the single largest non-insulated space in a home. When the garage shares a common wall with the main structure, this could result in serious energy loss through the garage. Insulation is a way of saving energy by preventing its loss through the garage door. Our garage door insulation kits are available that make this a simple process and a rather inexpensive one compared to the potential cost of the lost energy. Many people use the garage area for other purposes such as a work area. When the garage is being used in this manner, the insulation is almost mandatory to maintain comfort in the work area. Garage door insulation comes in a couple of different types. Reflective foil insulation usually consists of two layers of heavy duty polyethylene air bubbles between a sheet of aluminum foil and polyethylene white . The normal thickness of this foil is 5/16th of an inch. The foil side goes towards the door and reflects up to 97% of the radiant heat from the door keeping the inside as much as 20 degrees cooler. Energy conservation has become an environmental concern in addition to making sound financial sense. The garage is a major source of energy loss especially via the door. With a simple installation procedure and our garage door insulation kit, this problem is easily solved. The insulated garage can then become a work shop as well as a vehicle parking spot. Our insulation kits are designed for standard sized garage doors. These are usually 9 feet wide by 7 feet high for single doors and 16 feet wide by 7 foot wide for double doors. Although these are the standard sizes, it is possible to get kits ready made for more unusual sizes as well. I found America’s Best on the internet searching for a solution to brighten up my two bathrooms. I entered a service request on Friday. On Monday I received an email from Ray regarding the tubular skylight request. I called him Tuesday morning and he happened to have a cancellation that day and was here by 10 AM. He totally impressed me right then and there and installed three skylights. He happened to have all three types we needed on the truck with him. He was amazing. He completed each one with absolutely no cleanup. And personality wise, he is a considerate person. He also looked at our flat roof at my husband’s request since he is also an experienced building inspector and recommended recoating as woodpeckers had damaged the roof. He had my husband go up and see the damage. The next morning he had his guy come out on time and do the work. He personally came out to inspect the work that afternoon and made a few additional corrections. This was all done in two days both the three skylights and the roof recoating. Anyone could call us and we can no nothing but highly recommend Ray and his company. He is an exceptional service person. We will recommend him to all our friends and family. – WOW. They came when promised, and installed the product as well as garage door installation within a couple of hours or so. The product (GF-14) works amazingly. It pulls air into the garage from outside through some register vents in the garage door. The air is then pushed into the attic, which pushes the hot air in the attic outside through the gable vents. And it works! We’re in Arizona, and typically even in the evening, the garage is still incredibly hot. Now, the garage is at ambient temperature of outside. And presumably the AC is getting a break, since it’s cooler in the attic. We used to live in Seattle area and had Solatube lites. We knew we wanted tubular skylights, but the Solatube Dealer was flakey. We’ve dealt with America’s Best in the past and we trust them. Therefore when they recommend Natural Light Skylights we said sure! The installation was great and the installer even painted the flashings so they matched our roof tiles. Overall I am very pleased! The skylights seem to have a smaller foot print above the roofline than the Solatube brand. Also I looked at the product before they were installed, and was impressed with the all aluminum construction. I like the fact that the inside diffuser solidly snaps on, unlike the Solatube, that had a weird spring mechanism. Finally, I am happy that these are made locally. 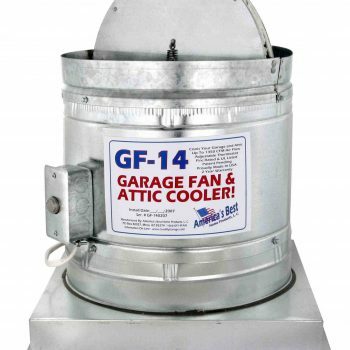 We saw the GF-14 Garage Fan and Attic Cooler at a recent home show. At the show we made an appointment for the installation. We would have to say that we are totally impressed when the crew showed up on time in uniforms and put the GF-14 fan in with absolutely no clean up. The GF-14 Fan started running right away. We noticed that the garage was quite cooler the next day when we came home. Since the garage is cooler we are sure that the attic is cooler. We know that if we can get the attic cooler perhaps we can save some money on our high air conditioning bills. At a recent Home and Garden Show we found America’s Best Home Products and inquired about their solutions to our unbearably hot second story. Mr. Baxter explained that the garage and the top floor attic are building up with radiant heat and causing the rooms above the garage and the upper floor to be 8 to 10 degrees above the bottom floor. We set an appointment for an installation of the GF-16 Thru-wall garage fan and a solar attic fan for our top floor attic. We noticed with in a few days that the rooms above the garage and the whole second story were quite comfortable. In-fact the two floors were within about 4 degrees of each other. It just go to show that the products and services offered buy America’s Best Home Products are something that anyone with similar problems should consider. We tell everyone we know about them. I was searching the internet for a way to cool my garage and I found your website. 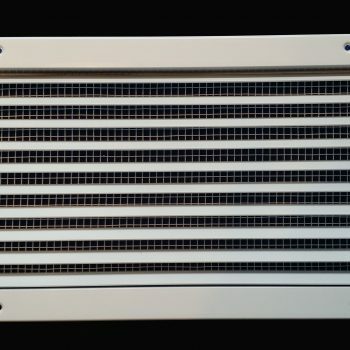 After a call to your company, I decided to order the GF-14 Garage Fan. The fan came via UPS within about a week and I installed it that following Saturday in our fairly new home with a 3 car garage. The fan went in quite easily following the instructions. Once I wired it to the back of garage door opener outlet and turned on the power it started right up. You can really feel the air flow in the garage! Here in Atlanta the humidity can become quite high. I have noticed with the GF-14 that the garage is much more comfortable by keeping a steady flow of air through it. When I come home from work after driving some 30 miles and pull into the garage I know that the GF-14 Garage Fan is helping cool down my car rather than just building up more heat in my garage. Since the fan exhausts into the attic perhaps the attic is a little cooler too. A friend told me about this GF-14 Garage Fan that he ordered from the internet. I was over at his house and he showed it to me. He closed the door and I was amazed of the air flow that was going through his garage. You could feel it all a crossed it from side to side. I asked him where to purchase one for myself and he directed me to your website. I ordered the fan in installed it. It was quite easy and only took about an hour. The GF14 Fan works just like it was designed for. It brings cooler air into a stuffy and hot garage making it much more bearable to work in on weekends which is when I tinker around out there. I also smoke in the garage and it has helped get the smoke out of it. 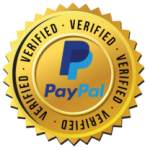 It is a great product and I am happy to refer any one who has a garage to get one. This letter is to thank you and your staff at America’s Best Home Products for the great service we received when you set up our GF-16 Garage Fan in the garage and 2 solar attic fans in the second story attic. We do believe that a company should always expect to render a good service, without having to be praised for it. Yet, I have to say that your installers were punctual and courteous, answered our questions readily and we appreciate that very much. Your people say a lot about your company. We just received out first APS bill since the work was done and we know it may be a bit premature on the energy savings, one curious thing happened. My nephew asked me to take care of his ASP bill while he was away. His bill for a 2 bedroom apartment was $94.00, while ours for the same month, a 5 bedroom 2 story home was $100.00. Not a bad sign. You are welcomed to give our name and number to your prospective clients, which we will take gladly. Thank you again for your service. I met the folks from America’s Best Home Products at a Home Show. I rarely believe what I hear about how great products are, but this time was different. I had ABHP replace my old plastic skylights with the double pane glass, and I can already tell the difference. I also had them install the tubular skylights and I just love them. I had to get a diffuser on the kitchen one because it was so bright! I was amazed. Not only that the product was as good as they said it would be, the team cleaned up the area inside and outside my home! I had nothing to do after they left but to look at the amount of light I now have in my home. I highly recommend this company and will use them again. They are knowledgeable, professional, and trustworthy.